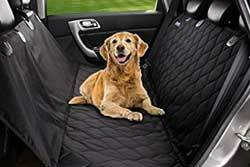 Pet Friendly By Owner Rentals in Sea Island, Georgia! Want to Search for yourself? Try vrbo/homeaway- filtered for Sea Island and pet friendly - or St Simons Island and pet friendly - just select your dates and how many people you need to sleep! 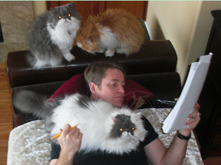 Try Trip Advisor already filtered for Sea Island and petfriendly. My strawberry hand-picked selection is below!They have the best reviews. New! 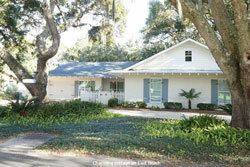 wheelchair accessible, petfriendly, by owner rentals in Sea Island and St Simon's Island. Ocean Walk Condo, 1BR/1BA, sleeps 2; - Ave. nightly rent is $115; min stay 1-3 nts. 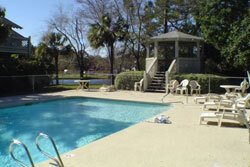 St Simons Island marshfront Condo with Pool & Pond. Near Beach! VRBO 65302 -Relax in a very nice, comfortable, tropically decorated, three bedroom condominium with an open and split floor plan. 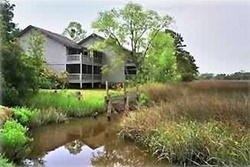 The large screened-in deck is accessible from both the living room and master bedroom that overlooks the beautiful marsh and Dunbar Creek. Both dining, living area, and bathrooms have brand new porcelain tile floors. Master bedroom has wood laminate floors. The kitchen has a new quartz counter top, and a new stove and dishwasher. The master bedroom has a king size bed, 2 large closets, TV, DVD/VCR player and a private bath. The front entrance is on ground level with a front decking. Many of the prints throughout the condo are done by a local artist and Photography done by me. You can take a nice stroll to the duck pond surrounded by Weeping Willows or take a swim in the swimming pool with chaise lounges and tables provided. The swimming pool, which is lit up at night has a Gazebo which can be used as a picnic area. You will also be able to walk to Redfern Village with unique gift shops, art galleries, and great restaurants. There are bike paths throughout the Island that will lead from the condominium to the beach, lighthouse, village, marinas, Fort Frederica and other historical sites and places of interest. Oceanfront, 2 BR 2 BA, Walk to Village, Private Beach, Wifi, Cable, 2BR/2BA, sleeps 6; St Simon's Island, - Ave Nightly $348; min rental 1-4 nts. VRBO 660691 -SEACLUSION is the upper floor of a unique two-unit oceanfront vacation property on St. Simons Island, accessible via an outdoor stairway to the upper deck.SEACLUSION is located directly on the sandy shore of the Atlantic Ocean, within one-half mile or a 10-minute walk to the village/pier area. 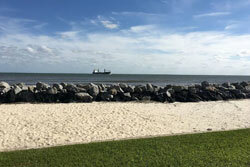 Our home has recently been renovated and features a DIRECT and UNOBSTRUCTED VIEW of the Atlantic Ocean, the beach, the shipping channel, and Jekyll Island. You will have peace and quiet in your private beachfront backyard while enjoying 180-degree beautiful ocean views from your living room, open kitchen, and dining room through two sets of big glass sliders. 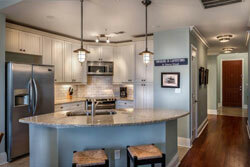 Luxury Waterfront Marina Condo, 3BR/3BA, sleeps 6; St Simon's Island, Ave Nightly $274; min stay 3 nts. Wheelchair Accessible AND Pet Friendly! VRBO 683173. The Waterfront at Golden Isles Marina is a beautiful upscale condominium with luxurious single level living. This spacious condominium has 3 bedrooms and 3 full bathrooms with breathtaking views of the Intracoastal Waterway and the Golden Isles Marina. All new upscale furnishings, cherry and tile floors, granite counter tops and a well appointed kitchen await you here at your luxurious waterfront condo. This spacious condo is perfect whether you are planning a family vacation, romantic weekend or a golfing get-away. Enjoy breathtaking sunrises and sunsets from your very own private balcony with panoramic views of the ocean, river and marsh, all while indulging in your morning coffee or evening wine. The balcony is far enough away from the pool for privacy, but yet still within view. Waterfront / 3 Blocks to Beach Club & Cloister / Golf Cart / Summer Specials, 3BR/4BA, sleeps 8; Sea Island, ave nightly $500; min stay 1-7 nts. 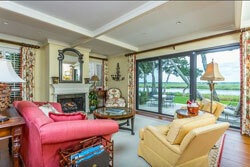 VRBO 721498 -TThe best water views and location on Sea Island. This professionally decorated, attractively furnished residence located in the River Club community (5th Street) is a short walk from most all the Sea Island amenities (2nd Street). Use of Bikes and Golf Cart Included. The spacious living/dining room boasts a sweeping view of the marsh and Black Banks River. Spectacular sunsets can be seen over the River; its all about the view! Trip Advisor Listing - FKN2386743- wheelchair accessible AND pet friendly. See some of America's most breathtaking natural landscapes in this region, richly woven with many cultures, injcluding the treasures of the coastal Gullah traditions. This scenic vacation destination has lured families for generations, and this 2/2 is a third floor residence, professionally furnished and spacious, with Jacuzzi tub in the master bath and oversized walk-in showers. Great Location. Steps to the Beach. Great Views and Space. Great Location. Steps to the Beach. Great Views and Space. 4BR/4.5BA, sleeps 8; Ave Nightly $500; min stay 1-4 nts. VRBO 668405 -Walk to beach and Cloister Hotel, Beach Club, and Spa (600 yards), newly renovated, 2 masters, completely renovated (June 2014) and beautifully decorated; gourmet kitchen, spacious living and dining areas, overlooking outdoor paradise with fire pit, hot tub, outdoor TV, grill, 4-7 night min stay. Location! + Location! + *in* the Village! + Walk to Everything + Historic Charm! 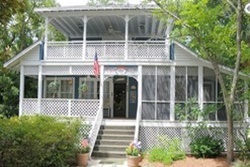 , 3BR+/4BA, sleeps 9; ave nightly $325; min stay 1-4 nts. Book it- Request to Book! - VRBO 34444 -Wheelchair accessilbe AND pet friendly! St Simon's Island, convenient location directly in village, fenced yard, oceanfront public water pool and water park; beachview house, once called the Gramling Cottage by the family that owned it in the 1920's, original hardwood flooring. 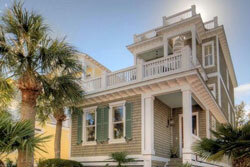 St. Simons, East Beach Cottage W/ Pool, 4BR/3BA, sleeps 10; ave nightly $471; min stay 1-4 nts. Book it - Request to Book! Wheelchair Accessible AND Petfriendly! VRBO 664347 -This one level cottage has 4 bedroom and 3 bathrooms. 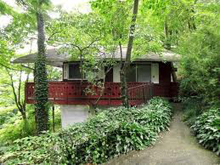 It is located in the desirable East Beach neighborhood. 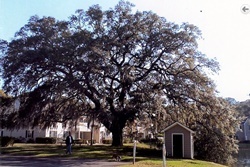 Sea La Vie is nestled among wonderful live oaks with a fenced courtyard entrance and a fenced back yard. Experience the quaint cottage feel and be delighted with the fully equipped new kitchen including granite counters, state-of-the-art appliances and expansive laundry room. All rooms boasts beamed ceilings, travertine tile floors, plenty of closet space. The living room is well appointed including two large sofas, chairs and a 55' HDTV and a wood burning fireplace. All bedrooms and the screened-in porch have TV's as well. Use the high speed WiFi internet connection for work or play. The butler's pantry is a nice addition and includes a bar area, a new wine refrigerator, mini fridge, an ice maker that makes 20 lbs of ice per day and plenty of glasses, etc. for entertaining. 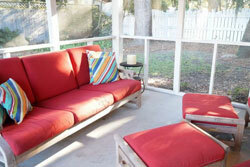 Enjoy the cozy screened-in back porch conveniently located next to the saline pool with outdoor lounge chairs for 6. The pool is large, clean and inviting. The back yard is fenced on all sides to allow your children and/or pets a place to play. Arranged in the back yard under the majestic oak trees with Spanish moss, you will find a nice outdoor grill and patio set. East Beach is convenient to numerous Island shops, golf courses and restaurants, as well as the Historic Coast Guard Station. It is a great neighborhood and has easy access to the beach. The beach is less than a .3 mile walk.